Please select option for Alternative Apparel Eco Fleece Dodgeball Pants - Grey or Blk. Please select option for Alternative Apparel Lounge Shorts. 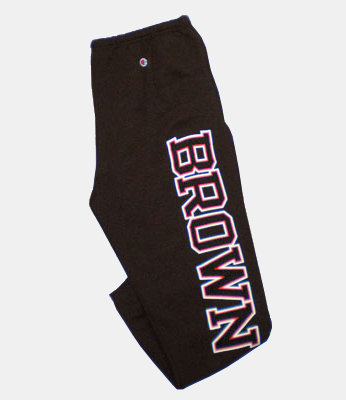 Champion Dark Brown (not black) Sweatpants with "Brown" in large print running down the left leg; elastic-band at end of legs. 50% Cotton and 50% Polyester. 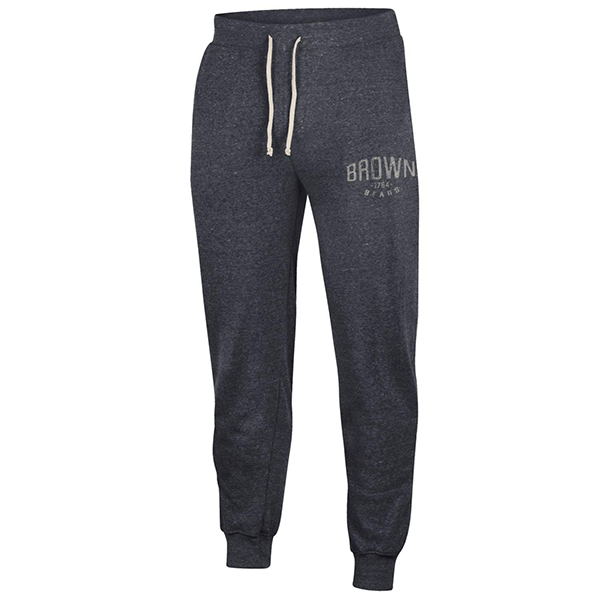 Please select option for Champion Brown Sweatpants - $32.99. 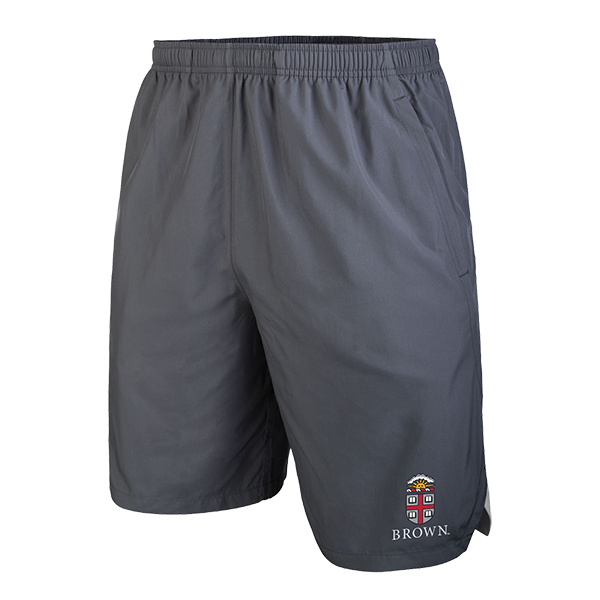 Champion 100% polyester wide-elastic, drawstring waistband grey shorts with grey mesh panels on sides and inner legs (4"W), grey and white fabric and reflective trim on lower side panels, and side pockets. 'BROWN' imprinted in white above cardinal and white Crest above 'UNIVERSITY' in white on lower-left leg. 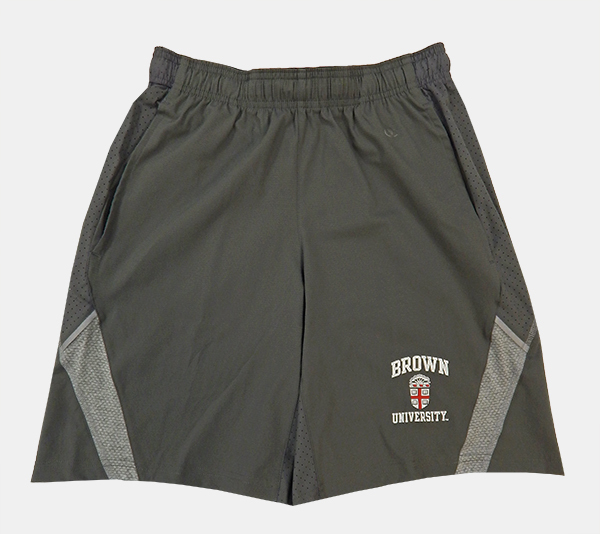 Please select option for Champion Grey Crest Shorts - $35.99. Polycotton oxford grey with black print, drawstring with elastic waist. 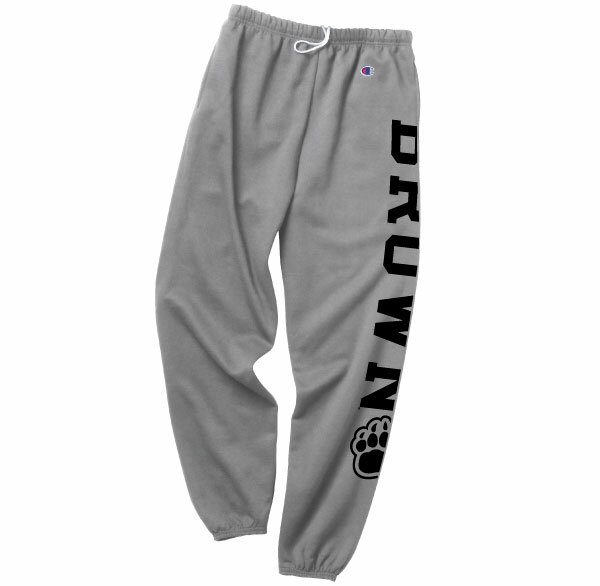 Please select option for Champion Grey Paw Sweatpants - $32.99. Please select option for Nike Men's Challenger Shorts. 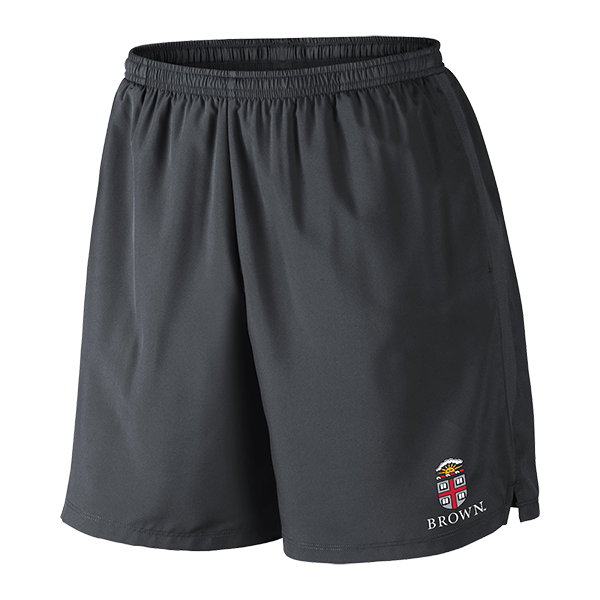 Please select option for Nike Men's Practice Shorts. Please select option for Nike Men's Shield Shorts. 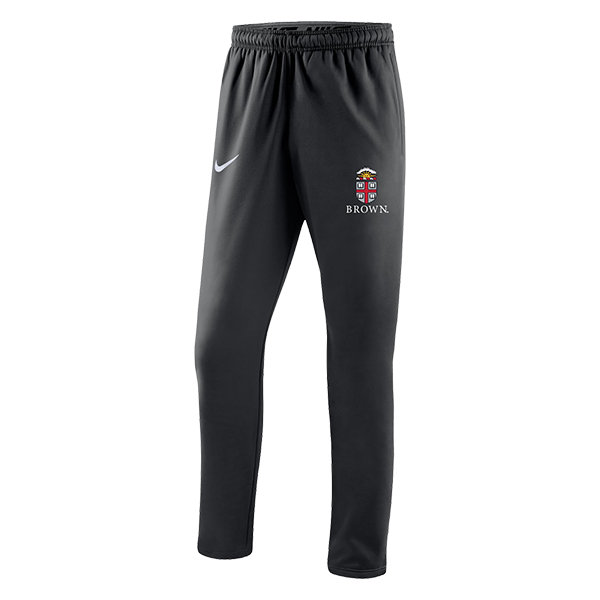 Please select option for Nike Men's Therma Regular Pants - Black, Anthracite, or Gray. 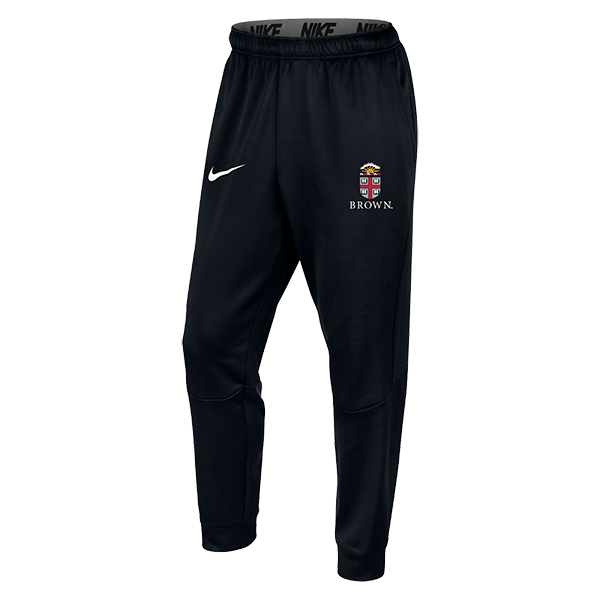 Please select option for Nike Men's Therma Tapered Pants - Black, Anthracite, or Gray. 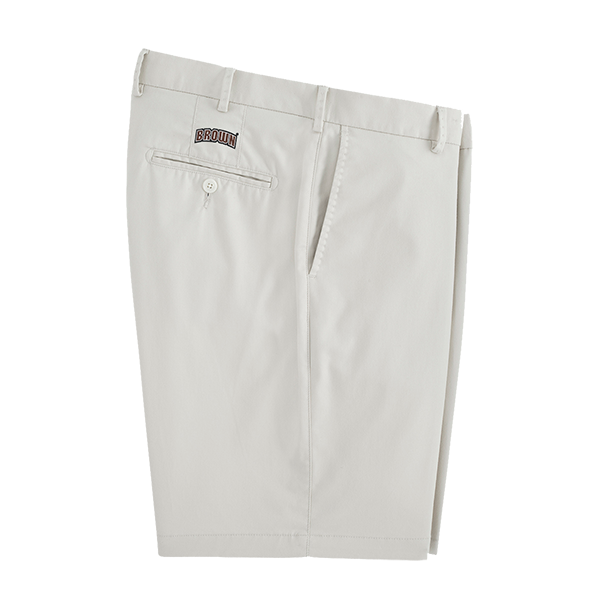 Please select option for Peter Millar High Drape Short. 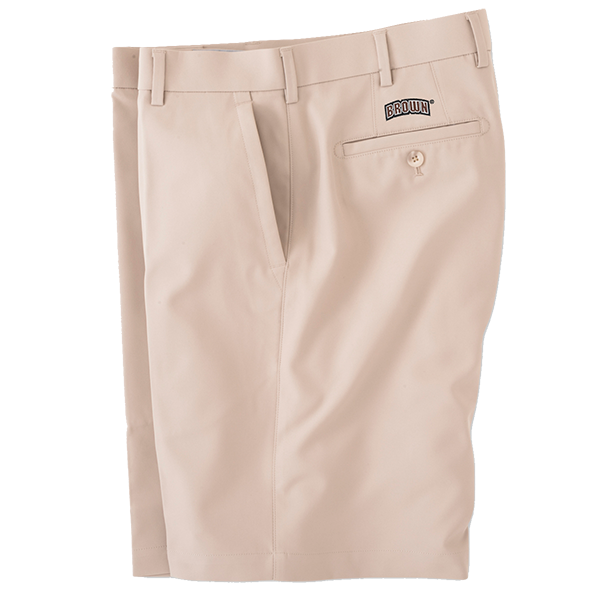 Please select option for Peter Millar Soft Touch Twill Shorts. 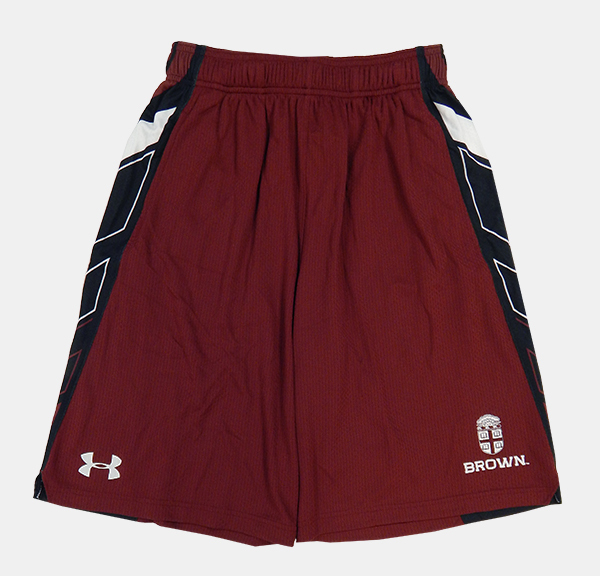 Under Armour heatgear, loose-fit, 100% polyester, wide-elastic drawstring waistband, cardinal mesh shorts with black side panels with cardinal and white graphic design and mesh side pockets. UA symbol imprinted in white on lower-right leg. Black and white Crest imprinted above 'BROWN' in white on lower-left leg. 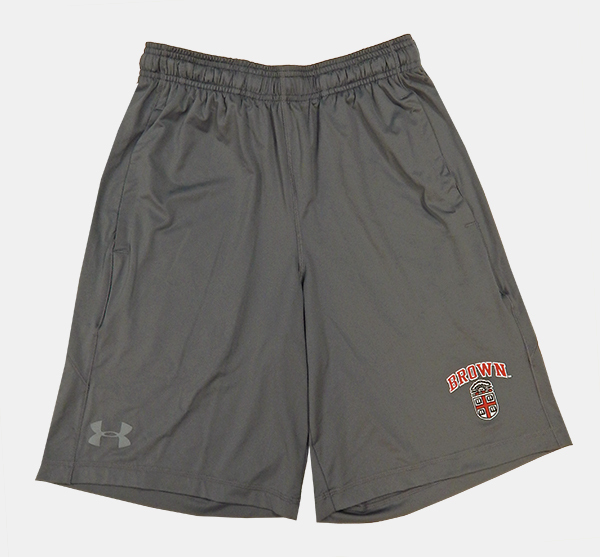 Please select option for Under Armour Cardinal & Black Mesh Shorts - $49.99. Under Armour heatgear, loose-fit, 90% polyester, 10% spandex, wide-elastic drawstring waistband, grey shorts with grey top-stitching and mesh side pockets. 'BROWN' imprinted in cardinal with white outline above cardinal, black, and white Crest on lower-left front leg. 'ESTABLISHED 1764' imprinted up lower-left back in small letters (apx. 2 5/8"H, not shown). Please select option for Under Armour Grey Crest Est. Shorts - $42.99. Under Armour 90% polyester, 10% spandex, black loose-fitting gym shorts. 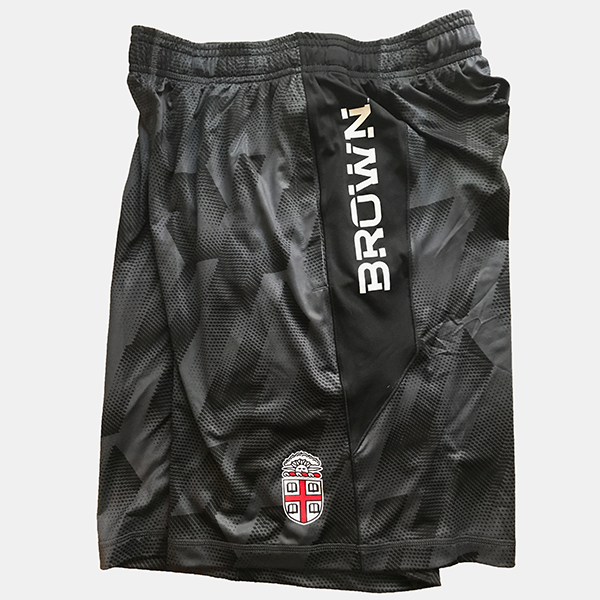 'BROWN' imprinted in white down left side and Crest at bottom of left leg in white, cardinal, and black. Please select option for Under Armour Loose Black Shorts - $47.99. 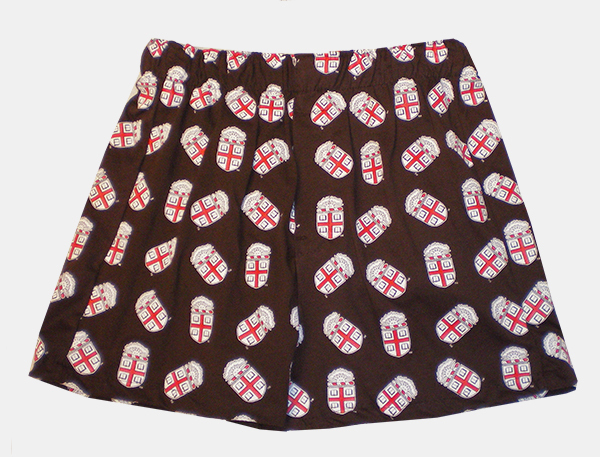 U-Trau 50% cotton, 50% polyester soft wide elastic-waist brown boxers with red and white imprinted Seal pattern. 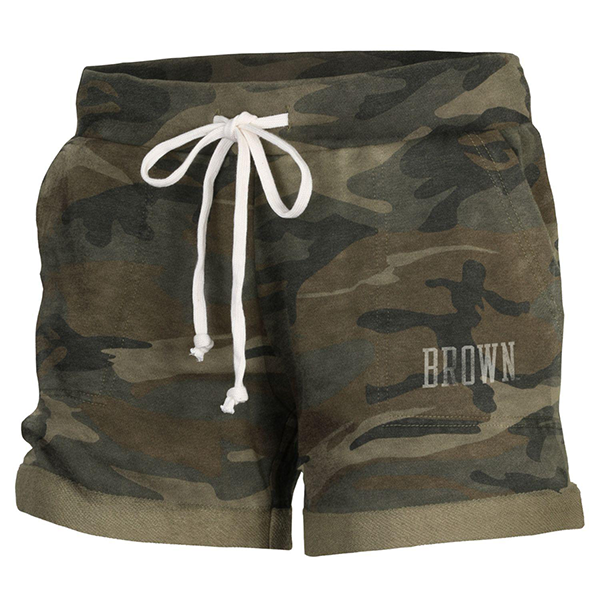 Please select option for U-Trau Brown Crest Boxers - $24.99.